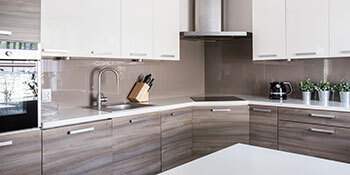 Sit down with our kitchen designers so they can gather your dream kitchen concepts. They'll design the perfect kitchen you've been wanting for years. Your new custom kitchen will be built around all the new features you want. 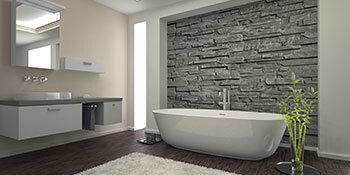 Turn your current bathroom into a 5 star luxury spa through our bathroom remodeling services. If you're looking to add a new bathroom to an ADU we can also assist you with design and layout services according to your cities building codes. If you're expecting kids, having additional family members move in, or even seeking a new source of additional income let our team assist you with a new room addition. 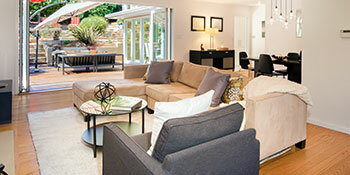 Get the most out of your property by adding additional rooms for the most competitive rates. Construction Consultant Services Specialist can assist you with designing a brand new ADU or room addition in Los Angeles. Room additions and ADU’s go by multiple names such as garage apartments, accessory apartments, secondary suites, granny flats, backyard homes, side houses, and affordable dwelling units. Many local home owners have chosen us as their ideal Los Angeles construction consultant service to build their new ADU when they need more space on their property. To have extra family members to live on the property, such as grandparents or to make room for more children can make the biggest difference for any family or property owner. Construction Consultant Services Specialist will always aim at building beautiful room additions for homeowners interested in enhancing or adding additional space onto the homes or land. Turn your building plans into a reality since our company will add all the requested details by implementing it into the custom ADU design. If you’re in need of a professional time proven Los Angeles construction consultant service feel free to give us a call anytime for a free quote. Construction Consultant Services Specialist prides themselves upon assisting many Los Angeles home owners by providing the much needed Los Angeles construction consultant service for very competitive rates. Been getting thoughts about having family members move in or seeking a side unit to rent out to help catch up on finances? Take advantage of our Los Angeles construction consultant service when adding a new room addition or ADU is the overall solution to your current predicament. Take control over towards planning, design, and layout through our professional Los Angeles construction consultant service. Various Los Angeles property owners come to us when they seek a new accessory dwelling unit built onto their property line. Construction Consultant Services Specialist will design your new ADU or room addition that stays within the cities building codes. Speak with our live operators today for a free quote and see how our Construction Consultant Services can add more towards your property. Need An Affordable Construction Consultant Service in Los Angeles? Construction Consultant Services Specialist is ready to take your call anytime you’re looking to build a new accessory dwelling unit in Los Angeles or interested in a room addition. Our time proven professional team will always put your current budget before anything while providing the most competitive rates within the Los Angeles area. Make us your primary choice in Los Angeles construction consultant service because we listen to our clients needs and work within their budgets. Man, this thing is getting better and better as I learn more about it. I am so pleased with this Service. Construction Consultant Service has got everything I need. I will refer everyone I know. We have more than 10 years in home remodeling. We provide what you want for your all and we'll take care of everything. Let's take your ideas for the perfect remodeling project and see what they look like through our 3D design program.